Micro-reinforcement system for concrete mass, made by 100 percent virgin homopolymer polypropylene multifilament fibers, containing no reprocessed olefin materials. Specifically designed and manufactured for use as concrete and aother mortar reinforcement. After the arrival of the concrete on site, and while the concrete is still in the mixing drum we add the polypropylene fibres in the concrete mix. The required quantity is in total relation to the concrete volume, as a bag of 600 grams of fibres is required for a cubic metre of concrete. After their placement within the mixing drum, they need to be mixed with the concrete for about 8-10 minutes in order to secure uniform distribution throughout the concrete mix, and the laying of the concrete can begin right after that. 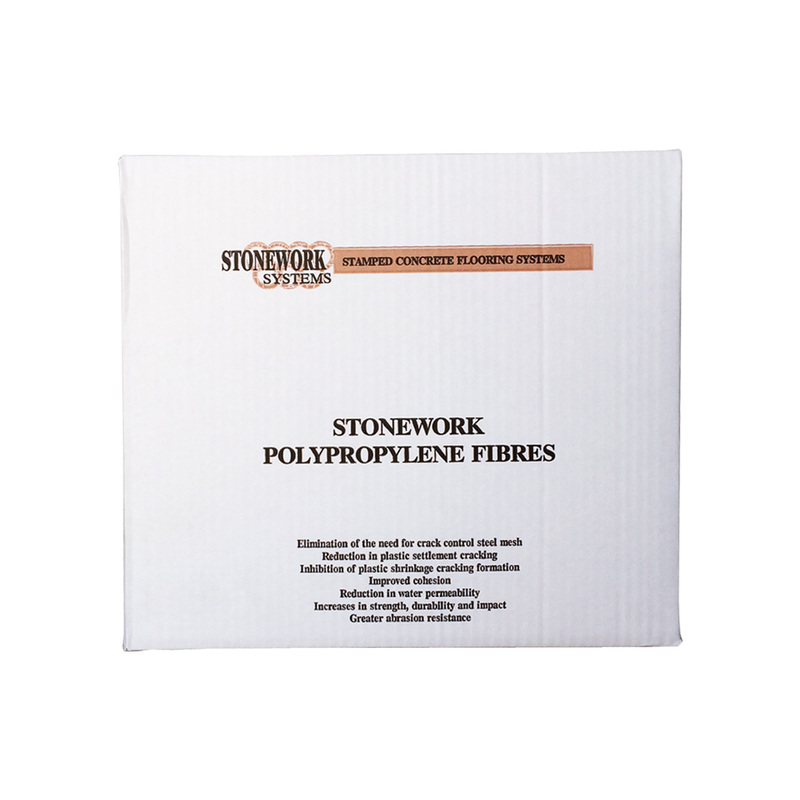 The addition of the polypropylene fibres does not require any additional water or other concrete mix design, as they comply with all concrete types and other concrete additives (air-entainment agents, retarders etc.). - Inhibits and controls the formation of intrinsic cracking in concrete. - Increases cohesion and reduces segregation. - Reduces water settlement and bleeding. - Reduces the need for use of steel mesh. - They are non-magnetic and rustproof.